“They say I’m the devil? “ Emperor Diocletian asked. June 2014, panorama from 3 vertical images, additional exposures for highlights, focal length 16mm, aperture f/11, shutter speed 13 seconds, ISO 100, tripod. “Not so much the devil, more like an adversary to the Christian God,” Cassius said. As Cassius answered he remembered watching a family be ordered to death due to the fact they refused to sacrifice to the Olympian Gods. Diocletian issued an order to make families either sacrifice to the gods or die. Cassius knew he would have made a sacrifice to the Christian God without a problem even if it meant death. The image of the family still haunted him at night, he couldn’t imagine how these people felt with their neighbors, friends and family punished by the far away leader Diocletian. Diocletian would get to retire into the palace partially pictured in this photograph. 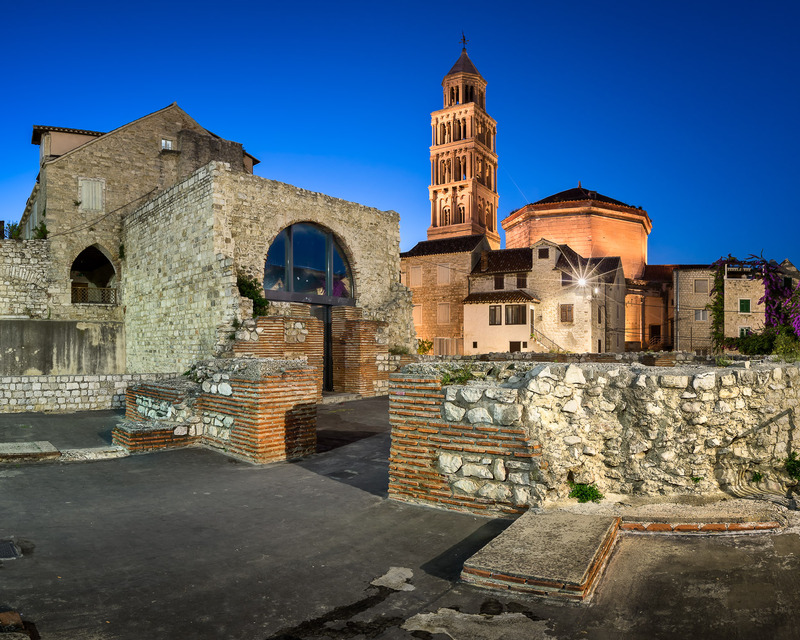 The remnants of Diocletian Palace are merged together with the later medieval building and occupies almost whole Old Town of Split nowadays.